This unit introduces learners to electronics and control, and in particular programmable components including microcontrollers. Originally planned for Year 8 it has scope to be taught across KEY Stage 3. It has students produce a spinning Frisbee or similar micro-controlled product and includes a full unit of work, project framework, PowerPoint presentation for students and associated teacher notes. Components for making the products are not included. 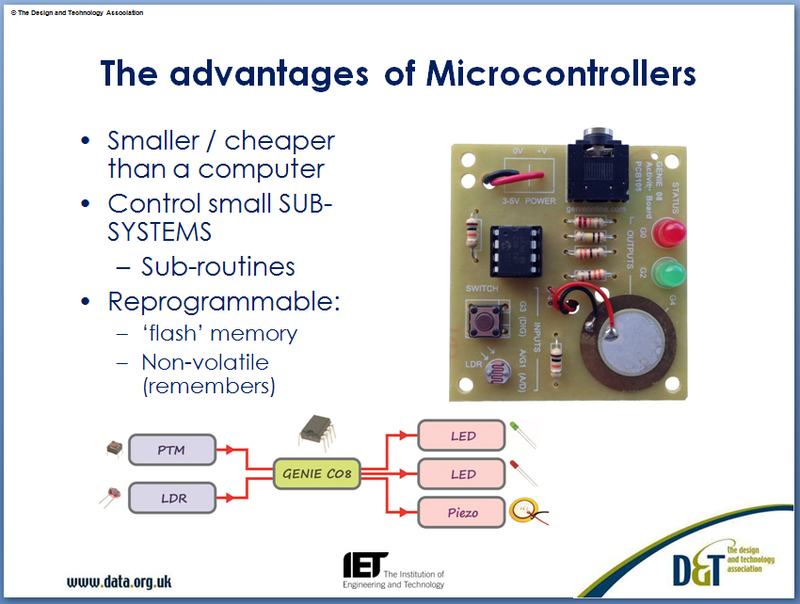 The resource also contains a wealth of general information on electronic components, including starter activities and stimulus materials, presentations on aspects of electronic components and microcontrollers, soldering, circuits and Genie Design Studio and PICAXE files. The Key Stage 3 lesson framework provided is planned around a double period of 1½ hours per week and can easily be adapted to suit your own school timetable structure. Resourcing the unit of work depends on the facilities available in your department and how you would like to manage the project. You can either buy circuits in kit form which include pre-manufactured boards or produce the boards 'in house' and purchase the components separately. 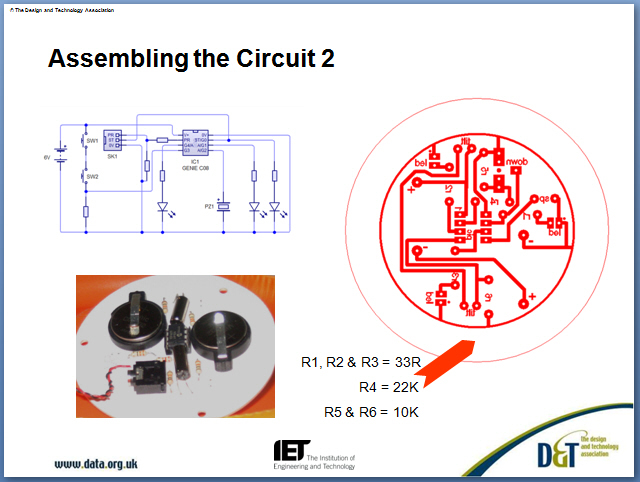 These Programmable Components resources were developed with the support of the IET and have been developed by highly experienced D&T teachers and teacher educators. The three projects aim to provide teachers with resources to enable them to introduce interesting design and make activities into their curriculum where currently the type of technology they depend upon is not being used or would benefit from alternative applications. They are deliberately designed with success built in i.e. what the students make will work. No claims are made about them representing true design and technology activity where one would expect to see students taking more control of the decision making and application of what they are working on. Rather these should be seen as enabling tasks that result not just in interesting products, but also give their creators the wherewithal to embark on further design challenges that would benefit from their increased capability. 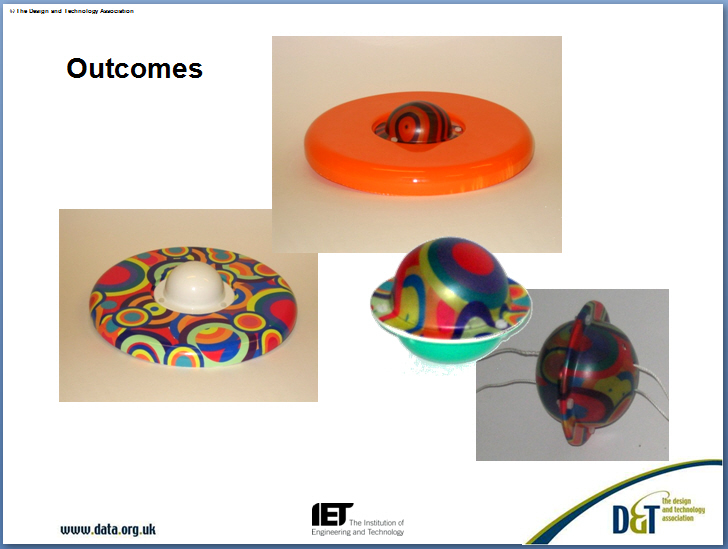 All three projects have been extensively trialled in schools with full teaching groups completing the individual tasks taught and supported by their D&T teachers.